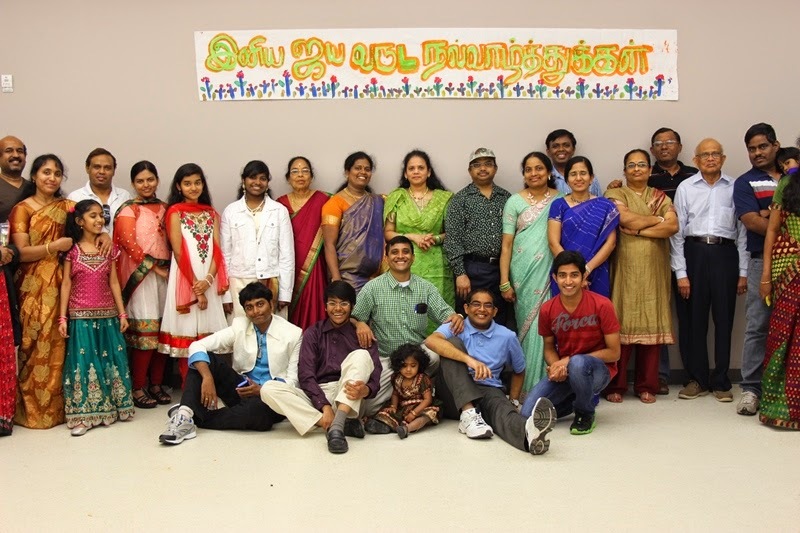 Today Tallahassee Tamil Sangam (டலஹாசி தமிழ் சங்கம்) celebrated the Jaya Tamil New Year by hosting a pot-luck dinner and entertainment program. 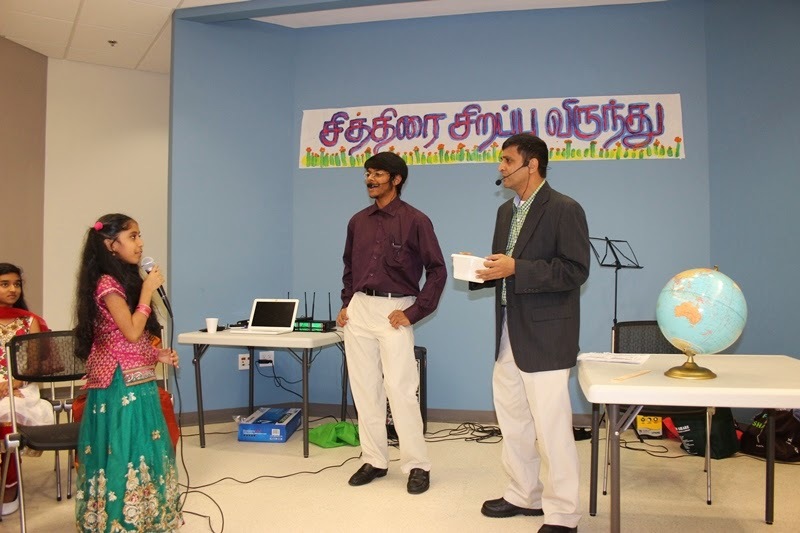 This year marked the 15th year since we began celebrating Tamil Puthandu in Tallahassee, Florida, USA. The first program was organized by Dr Muthuswamy and Mrs Karpagam at their residence in April 2000. It has since grown to be a big program. We saw about 50 families participate in today’s event. Then around 9:15 we wrapped up the event, cleaned the facility and went home. 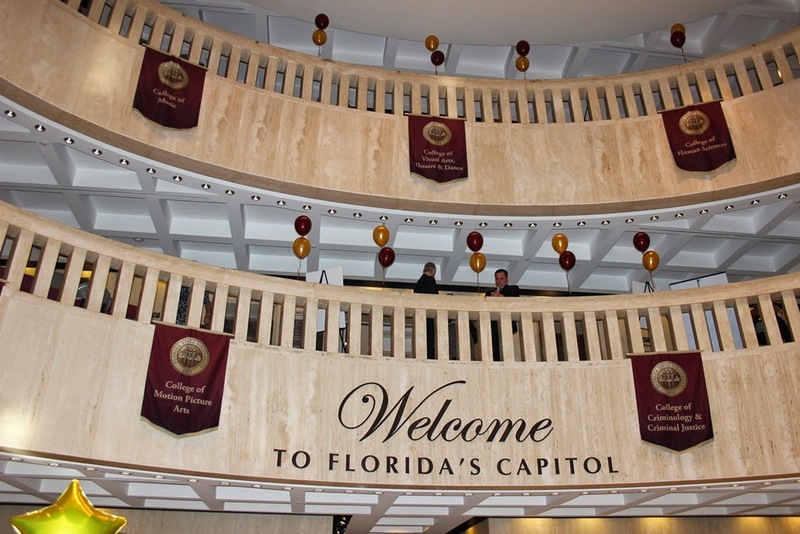 I went to the Florida State Capitol early morning and set-up a table for the Institute of Molecular Biophysics. 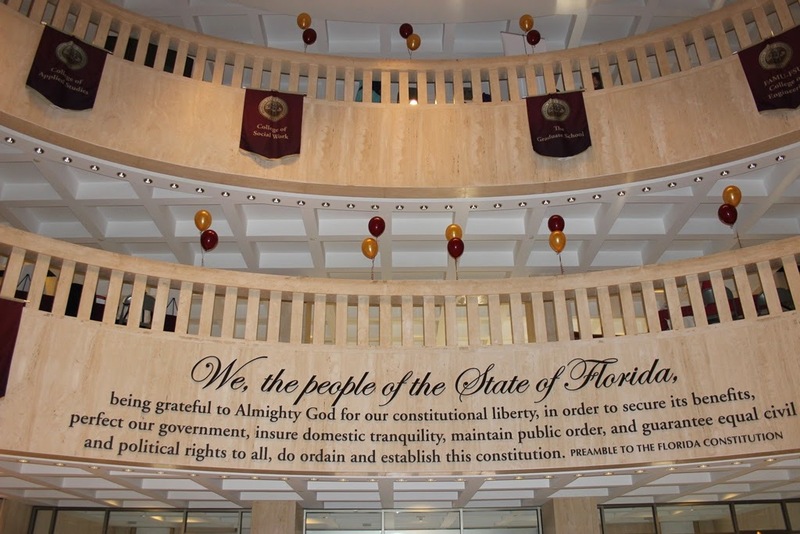 The tables were located in the first floor lobby of the Capitol. 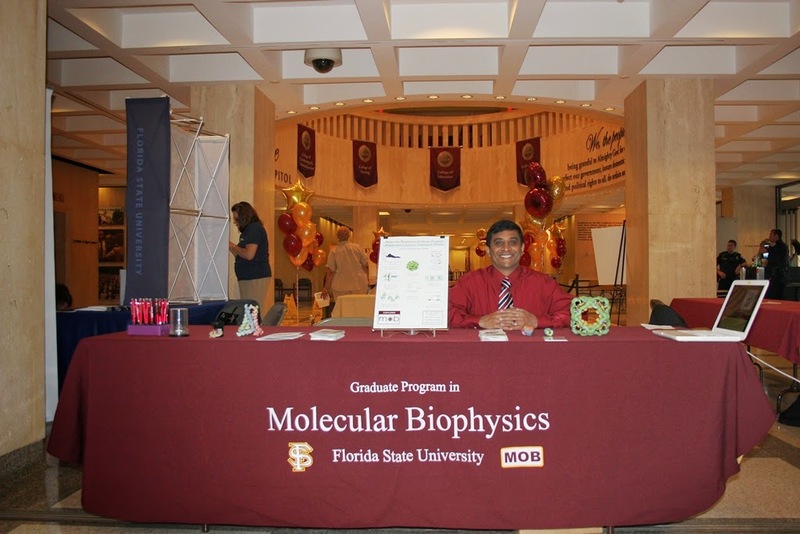 Our Institute was represented by two talented graduate students who spoke to many visitors. Our table was set-up around 8:30 AM in the morning. Our interim President stopped by our table in the morning. Around 11:30 AM some food was served in front of the Capitol. We took turns to go around other tables to see what other departments have displayed. Finally around 1:45 PM we wrapped up displays and went back to work at the University. Overall, it was a good experience.